MultiBrief: What’s behind Wal-Mart Pharmacy’s dreary quarter? Ominous is a word that comes to mind. Forlorn seems to fit, too. It is like a black raven is perched above the entrance of every store. Oh, Edgar Allen Poe would have a field day with this one. I'm talking about the Wal-Mart Pharmacy earnings report as described in a recently released transcript conference call. While they appreciated some top-line growth (more prescriptions filled), they nevertheless experienced significant bottom-line erosion due to things like lower reimbursements from pharmacy benefit managers (PBMs), shrink and staffing expenses. 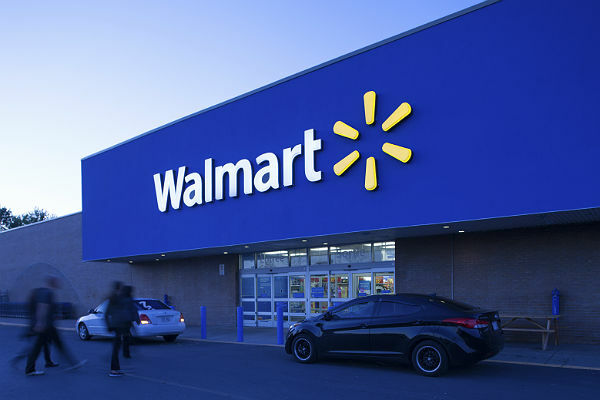 "I want to be straightforward: These issues will present continuing profit challenges for the remainder of the year," Wal-Mart Executive Greg Foran stated. "We are certainly disappointed." Disappointed. Hmmm. Executives are masters of the understatement. I interpret that as business-speak for, "I'm incredibly frustrated, so get ready for some serious changes in the way we operate around here." The most frightening thing about this is if Wal-Mart Pharmacy — the fourth-largest-revenue pharmacy in the U.S. with 2014 revenue of over $17 billion — is struggling to survive on the PBM margins, what hope do the smaller chains and independents have? Let me clarify for those who don't swim in these waters: Wal-Mart is unable to buy the drugs at a low enough price to maintain a healthy bottom line. How is that possible? Wal-Mart is the world's largest private employer with more than 2 million employees. One would think that fact alone would give this company more negotiating power at the contract table. But actually, it doesn't. In this game the deck is stacked, with 70 percent of the U.S. population having their Rx benefits administered by one of just three PBMs. Wal-Mart needs those people to be walking through their doors. They seem to be stuck between the proverbial rock and hard place. And maybe "hard" is the right term as I would expect some heat on the pharmacy market managers to tighten up their business in the coming months. According to the same conference call, "We expect to have pressure on pharmacy for the rest of the fiscal year." What Wal-Mart is experiencing on a large scale simply mirrors what so many pharmacies are experiencing every day. Target Pharmacy found this out. And independents around the country know what it is like to face declining profit margins on every prescription sale. Frankly, it feels more like a season of "Survivor" in the pharmacy world these days than it does a healthcare business. Of course, there is a bit of irony here. Wal-Mart is the pharmacy that virtually introduced the $4 generic concept that quickly caught fire and spread throughout the industry. Prescription pricing soon became a race to the bottom. Some chains actually did go as low as possible, offering free 30-day supplies of selected medications to drive foot traffic. Now that same chain is bemoaning low-margin prescription sales. As they say, "Be careful what you ask for, you just might get it." For pharmacy as we know it to survive, it will have to find ways to operate the prescription business more profitably. Something has to change. With fewer and fewer uninsured patients, it is hard to see where that income is going to come from. Like Poe's famous Lenore, the days of a livable prescription profit margin appear to be gone. Will those sunny days ever return? I hate to break the bad news: "Nevermore."